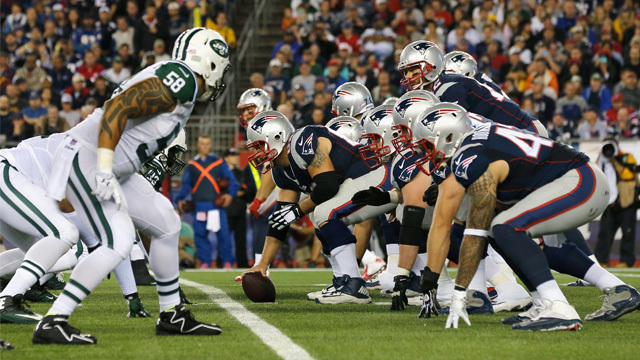 The New England Patriots and the New York Jets last met on December 24, 2016. The game resulted in a New England win, with a score of 41-3. The Jets struggled on offense as the team had four turnovers on the day. They were also only able to convert 1-of-11 third downs. New England was able to capitalize on all three of New York’s first-half turnovers and turn them into points. Patriots cornerback Malcolm Butler had two interceptions and a fumble recovery, while Eric Rowe came up with one pick on the day. LeGarrette Blount added two 1-yard touchdown runs. Jets quarterback Bryce Petty and receiver Brandon Marshall each left the game with injuries. Patriots’ head coach Bill Belichick earned his 200th victory in New England that day. Jimmy Garoppolo stepped in for Tom Brady in the fourth quarter. Brady posted a strong performance before sitting out in the final quarter to rest for playoffs. With the win over the Jets, the Patriots officially won all of their road games in 2016, while sweeping the Jets for the 17th time. Tom Brady went 17-for-27 with 214 yards and three touchdowns. Jimmy Garoppolo went just 1-for-2 with six yards. For the Jets, Bryce Petty went 0-for-3 with one interception before leaving the game in the first quarter with a shoulder injury. Ryan Fitzpatrick replaced him and went 8-for-21 with 136 yards and two interceptions. Dion Lewis and LeGarrette Blount led the way for New England’s rushing efforts with 52 and 50 yards respectively. Blount included two touchdowns on the day. Bilal Powell had 15 carries and 60 yards for the Jets. On the Patriots’ receiving side, Julian Edelman led the way with five catches and 89 yards. James White, Martellus Bennett and Matt Lengel each caught a touchdown pass from Brady. For the Jets, the receiving efforts were very spread out with six receivers either catching one or two balls. Quincy Enunwa led the way with one reception and 30 yards. Defensively, Elandon Roberts and Kyle Van Noy led the way for the Patriots with 11 and 7 total tackles respectively. Chris Long recorded a sack on the day, while Jabaal Sheard and Alan Branch tallied a half sack each. For the Jets’ defense, it was Rontez Miles who racked up the most total tackles with 14. Muhammad Wilkerson recorded a sack for the game. The New England Patriots will face their first AFC East opponent this season when they travel to face the New York Jets. Game time is set for 1pm at MetLife Stadium on Sunday, Oct. 15.